Family: Lives in Sitges with her 9 year old daughter and has an 18 year old son studying in France. Anne began her career in the Financial Industry in 1993, working for a Life Insurance company based in the Isle of Man, Hansard International Ltd. After a short career break in Malaysia, she moved to Paris and in 1998 was instrumental in setting up Mondexpat SA, the French arm of Mondial Expatriate Financial Services. 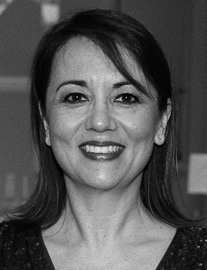 In 2001, whilst working as Senior Administrator in the Paris office of European Business Network SA, she transferred to their Barcelona office where she has lived and worked ever since. In 2003, she co-founded The Spectrum IFA Group with several colleagues based in Spain, France, and Luxembourg. As Director of Operations, she is responsible for providing support to our Adviser teams throughout Europe, the day to day running of all of the Groups’ companies, liaising with the regulatory authorities in all the countries where Spectrum is present, whilst also providing service to existing clients. Anne not only looks after the Group’s Operations but is also Director of the Life Insurance Brokerages in France, Spain and Belgium and is registered as CIF with the AMF in France. She speaks fluent French, English and Spanish.